Watching Shaun the Sheep the Movie is like curling up underneath a big cosy duvet with a steaming cup of sugary tea. Everything here is calculated to sooth, enchant and swaddle; dragging audiences into a paradise Britain fuelled by pleasant whimsy and running to clockwork comedy timing. From pastoral dale to bustling metropolis, this plasticine world (literally) bears the fingerprints of its loving creators. And at the centre of it all is a resourceful, brave and cunning hero: Shaun the Sheep. 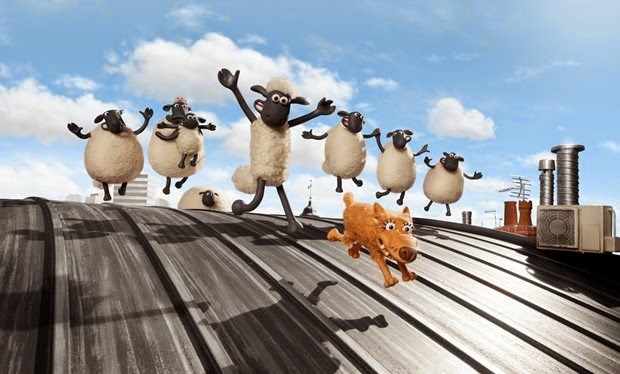 Shaun the Sheep the Movie is released February 6th.